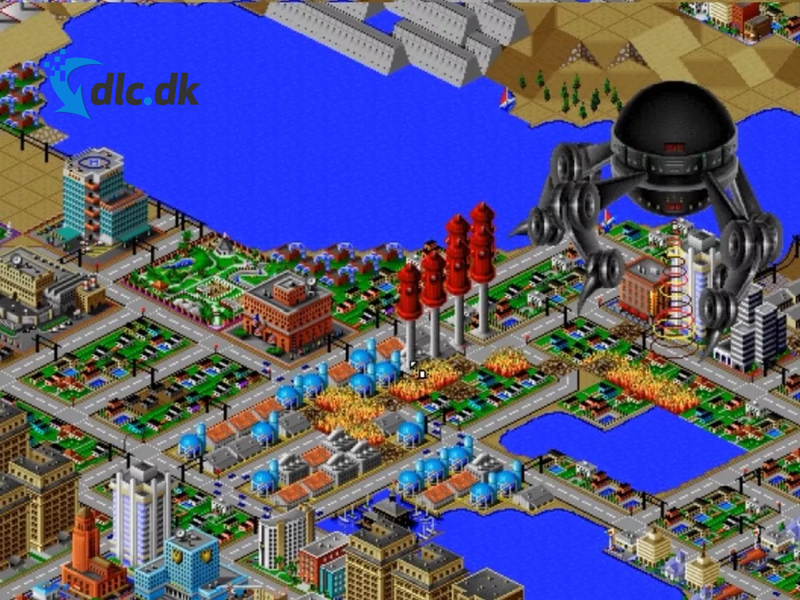 Download Sim City 2000 safely and for free here, which is the successor to the ground breaking city simulation game SimCity. Here's a free download of SimCity 2000, the second game in the SimCity game series, one of the world's most popular game series. Here you can build just the city and society you want. Whether it should be a futuristic city with futuristic buildings, or an artistic city with magnificent sculptors - it is entirely up to you. If you have so far only become acquainted with the first SimCity game from 1989, SimCity 2000 can be highly recommended. Here you get all the familiar features and options from the first game in the series while the graphics have been optimized and new features have come to fruition. Of course, you start from scratch with a huge plot that is empty, after which you can place buildings and institutions so that society can flourish. Then your city gets bigger and bigger, while you have to keep track of the community's progress, and make sure to implement, for example, a port, a train station or an airport, so that your inhabitants have the right transport options. If your city is a great place to live, and if you, your mayor, keep your residents happy and happy, then new rich and well-educated newcomers will come to help your city grow bigger and better. The game provides a wealth of tools so you can easily count on the game for many weeks to come. 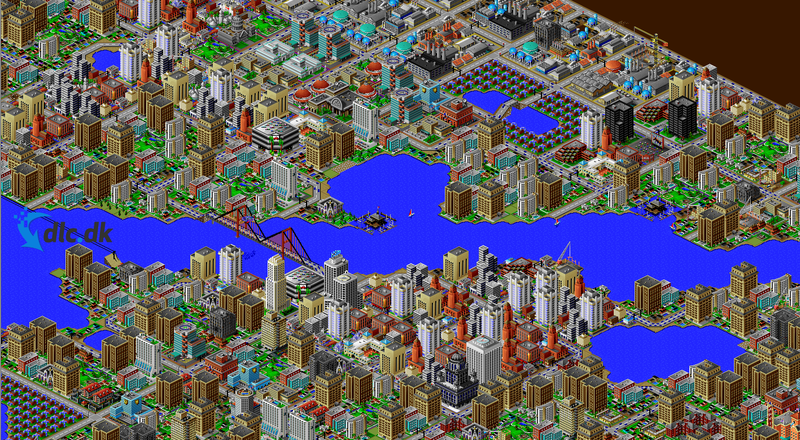 SimCity 2000 is all about creating the perfect city to live in. However, the choices are entirely yours to make, and you decide for yourself whether you want your city to be driven only by wind and water energy, or whether the large nuclear power plants will see the light of day again. In addition, it is also up to you to find motorways where the city's inhabitants need it, so that no queues and accidents occur. You get a good feel for the city's well-being through the news newspapers that you can read. Here you can see the city and its inhabitants' current status and what they hope will be improved. A year after SimCity 2000 appeared in 1993, an expansion pack called Scenarios Vol. Great Disasters. With this, your city can face a series of disasters that completely change the game. So you have to help the inhabitants save the city and then rebuild it. This makes the game more challenging while the entertainment value also increases at the same time. Among the disasters, there are, among other things, two nuclear meltdown disasters, one flood, one hurricane, two forest fires scenarios, a volcanic eruption, an earthquake, a typhoon, riots among the population and even a UFO attack. 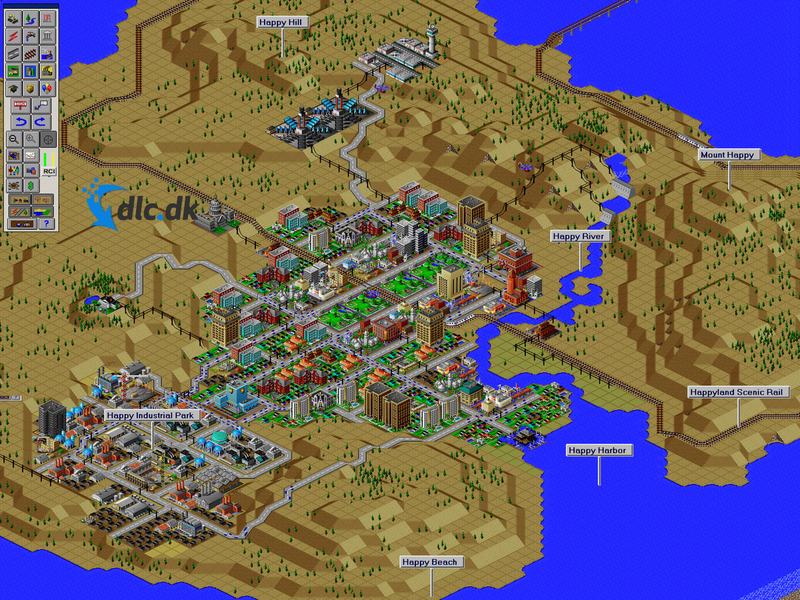 Over the years, a lot of games have been released in the SimCity series and if you want to try a newer game in the series than SimCity 2000, you can appropriately take a look at SimCity Societies. This is from 2007, and includes all the classic elements of SimCity 2000, while also adding new capabilities as well as new and improved graphics. You can read more about the SimCity Societies and download the game by following this link. If you want to play the latest game in the series, you can buy SimCity: Complete Edition on Electronic Arts' own website. You will find the game and can read much more about it by following this link. If one has said SimCity, one must almost say The Sims. The two game series almost go hand in hand, but at the same time are very different. SimCity focuses on the simulation of a city, and your role as a player is to make the city work well while in the Sims, you control individual people of all choices in their lives. If you follow this link, you can read more about The Sims 4, the latest and greatest game in The Sims game series. If you follow the link, you can also download a free 48 hour demo version of The Sims 4, giving you full access to all of the game's capabilities and features in the 48 hours. Then it is completely up to you, if you wanthappens to buy the game. 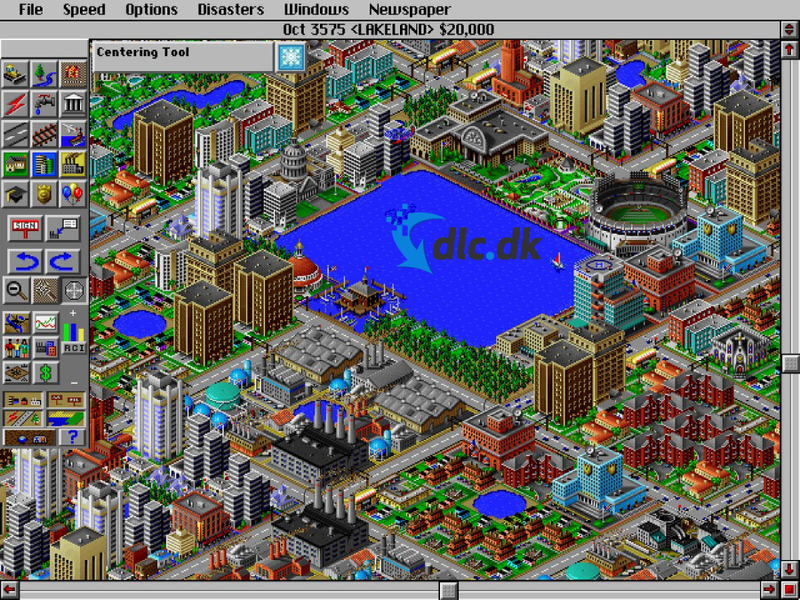 SimCity 2000 was originally created for Mac, but has since been converted to play on Windows. The version of the game you can download here on the page is compatible with Windows operating systems. If you are a Mac user instead, you can find the game by following this link. There is, however, a special edition version of SimCity 2000, which therefore also costs money. It can also be purchased and downloaded for Windows if you are interested in Special Edition for Windows. SimCity 2000 is the second game in the SimCity game series and can be downloaded for free here on the Windows site. If you are looking for the game for Mac, you can find a link to it further up the page. In all its simplicity, the game involves building and managing a big city. This grows and grows while making important decisions that can prove successful or disastrous. It is up to the player to create a well-functioning society where citizens are happy and satisfied so that the city can grow while rich and well-educated migrants can be tempted. You can also download the Scenarios Vol. 1: Great Disasters, where a large number of disasters can destroy parts of your city that you must subsequently rebuild. This makes the game more exciting, while the difficulty level is of course also increased. If you are interested in newer versions of the SimCity games, you can also find links to SimCity Societies from 2007 as well as SimCity: Complete Edition from 2014 onwards. Although SimCity 2000 was originally developed for Mac, it is a Windows edition you can download here on the site. If you are looking for SimCity 2000 for Mac, you can find a link to SimCity 2000: Special Edition, which is compatible with both Mac and Windows. In the version of the game a number of extra features follow, but it also costs money. The edition on this page is completely and completely free to download and play. Find SimCity 2000, mark it and choose "Uninstall"
Should SimCity 2000 has been damaged or corrupted and thereby difficult to remove we can recommend you finding help to uninstall it here.